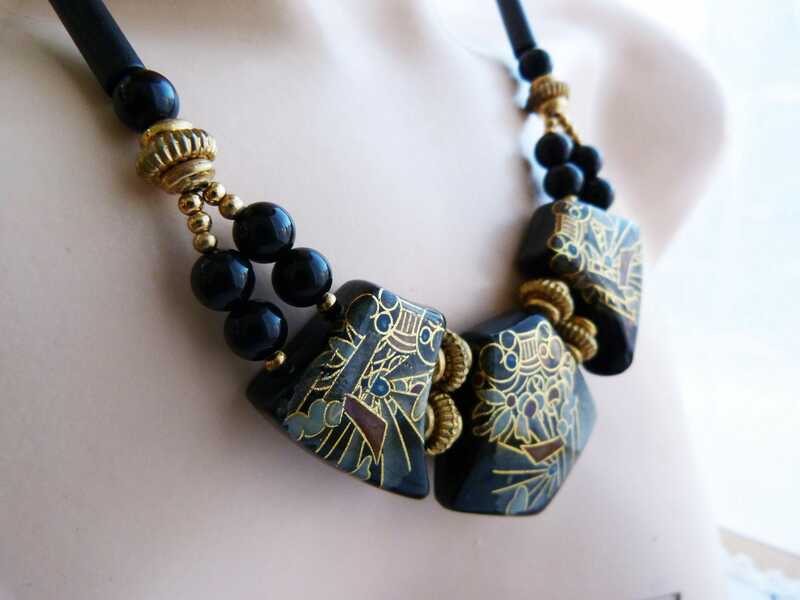 Very beautiful 1970's jewelry set from Japan (Hallmark on the golden fastener), including a necklace and a pair of earrings. 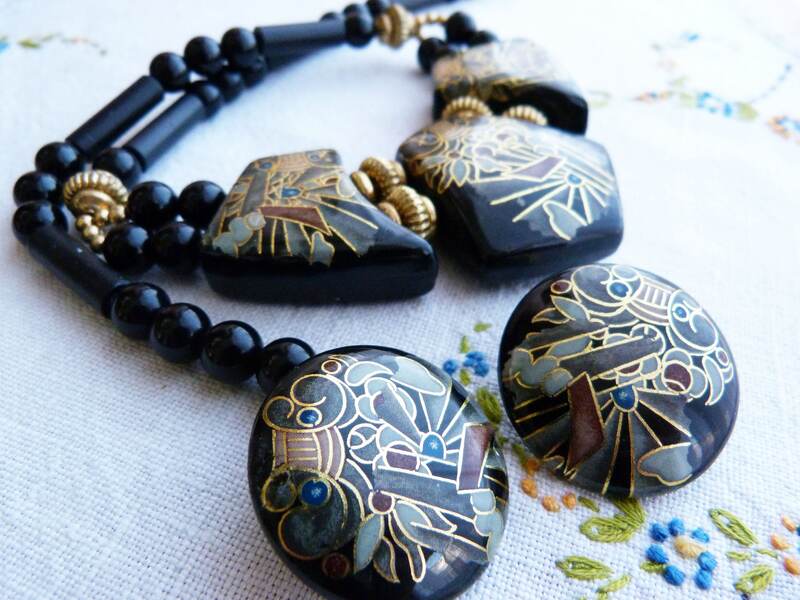 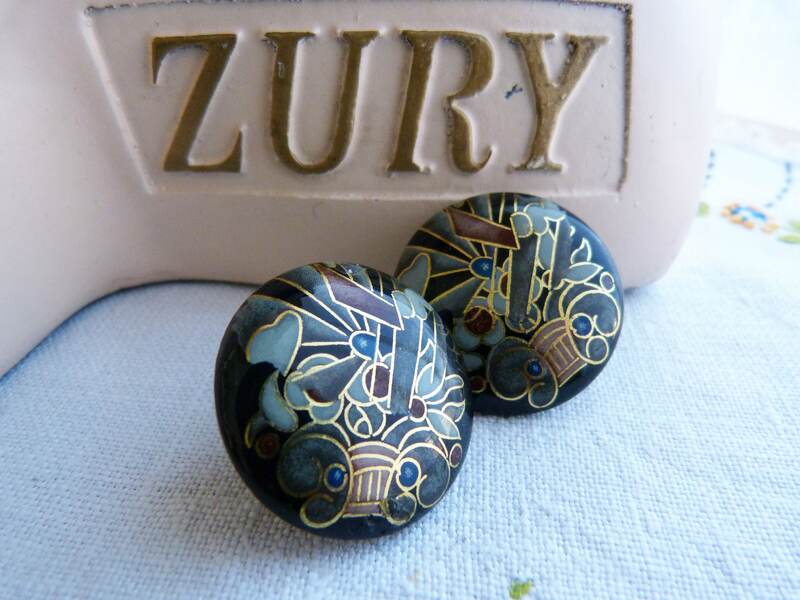 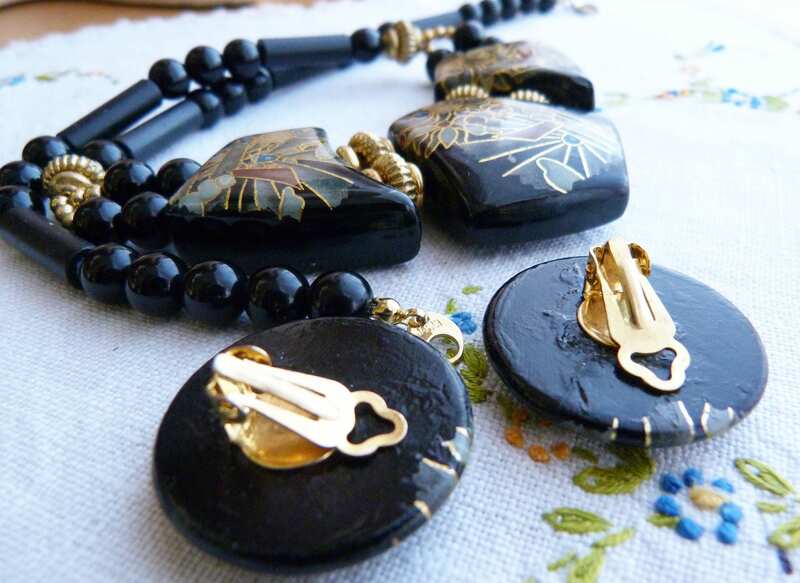 Black resin hand painted beads with gold, red, green and cream modern floral patterns. 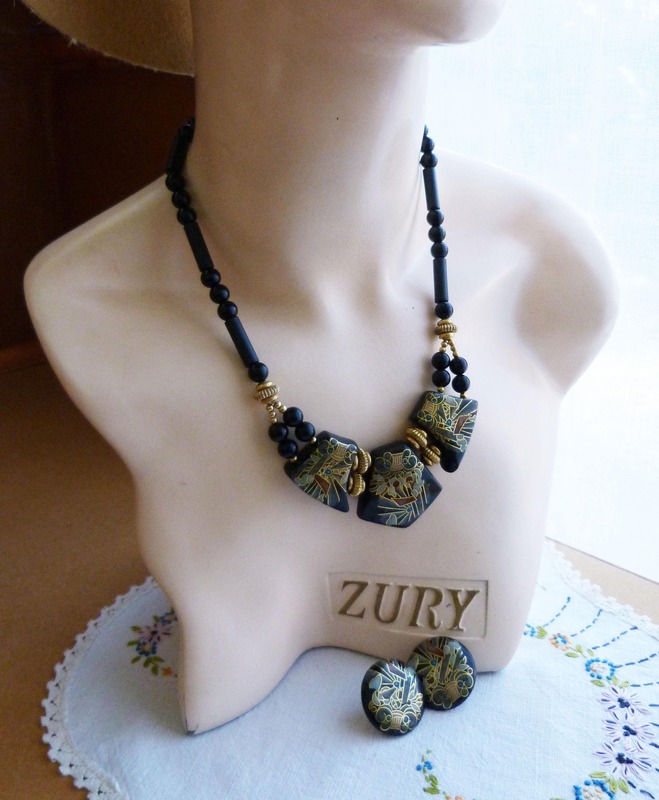 The necklace, also adorned with golden beads, has a lovely pointed shape, and the big round earrings are clips.